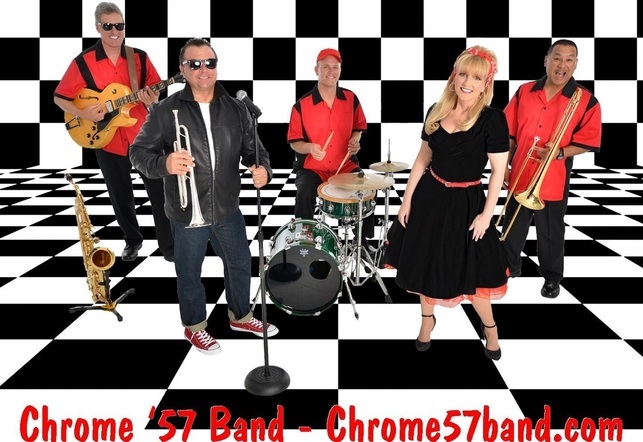 The Chrome '57 Band is a 50's band in Florida and Oldies band in Florida providing 1950's theme entertainment performing Oldies, Rockabilly, sock hop, and 50s music. 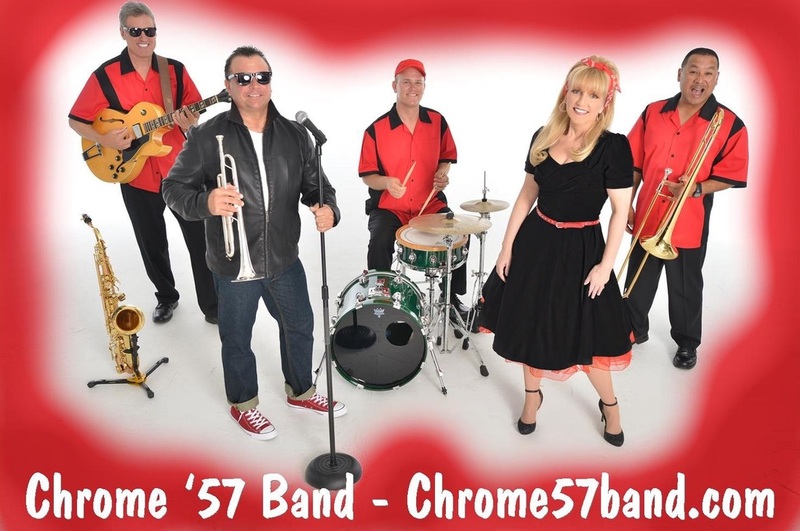 The Chrome '57 Band is a premier 50's band in Orlando, Florida performing fifties music and 1950's theme entertainment. 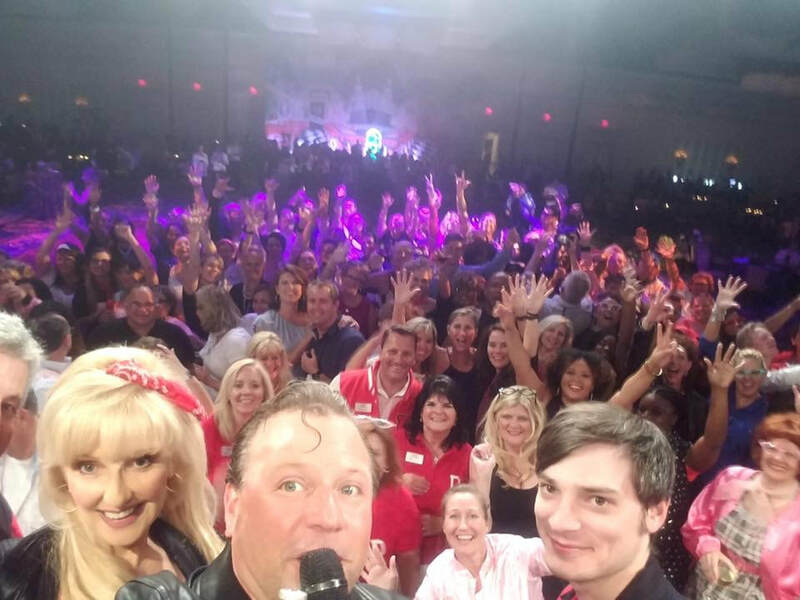 The Chrome '57 band, 50's band Orlando and oldies band Orlando will also travel to Jacksonville, Tampa, St. Petersburg, Sarasota, Clearwater, Naples, Marco Island, Miami, Palm Beach, Boca Raton, Ft. Lauderdale, Daytona, Daytona Beach, St Augustine, Amelia Island, Gainesville and Ocala. 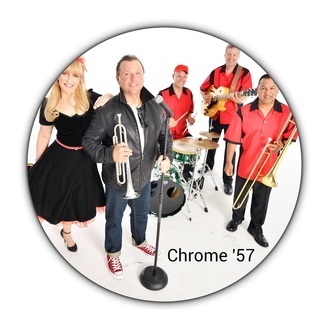 The Chrome '57 band performs for Corporate events, conventions, private parties, band for 1950's theme events, 1950's theme birthday party, Gala entertainment, fifties theme entertainment in Orlando, Fl.